The leading 21 apple-producing nations across the European Union are set to turn out a bumper crop in 2018. 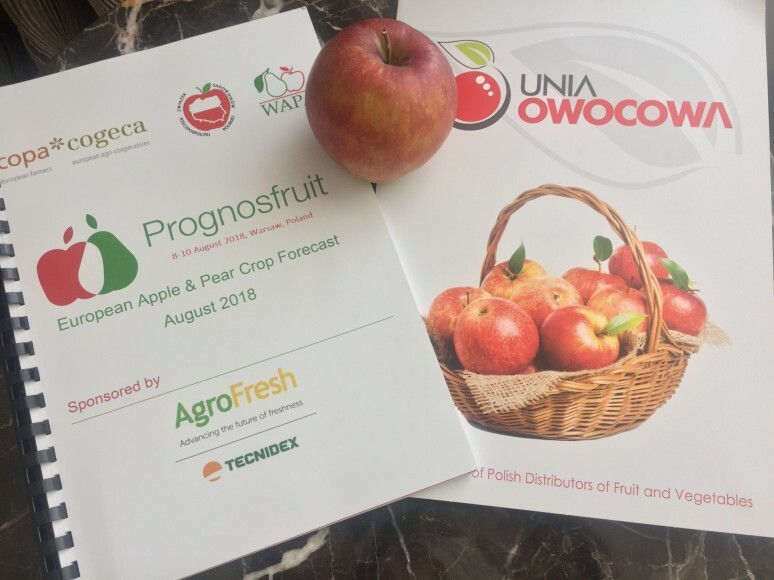 That is the verdict of the World Apple and Pear Association (WAPA), which revealed a 2018/19 seasonal forecast of 12.61m tonnes of EU-grown apples at Prognosfruit in Warsaw, Poland. The crop estimate represented a 36 per cent climb on last year's total EU crop of 9.25m tonnes, and a rise of 13 per cent on the three-year average, WAPA noted. Much of this growth will be driven by Poland, the bloc's largest apple producer, which is expecting a huge 4.48m-tonne crop this season, up 56 per cent on the 2.87m tonnes harvested last year and 23 per cent on the three-year average. Likewise, Italy is anticipating growth in volumes of 29 per cent for 2018/19, up from 1.7m tonnes in 2017/18 to 2.2m tonnes. France, Europe's third-largest grower, is forecasting a more modest rise of 5 per cent to 1.5m tonnes, while Germany's apple crop is set to soar 66 per cent year-on-year to just under 1m tonnes. Many other countries are forecasting large yearly increases in 2018/19, including Hungary (up 37 per cent to 728,000 tonnes), Romania (+39 per cent, 320,000 tonnes), Belgium (+147 per cent, 217,000 tonnes) and Austria (+175 per cent, 184,000 tonnes). By variety, Golden Delicious volumes should increase 23 per cent to 2.35m tonnes, 3 per cent higher than the three-year average, while Gala volumes are set to climb 15 per cent to 1.46m tonnes. Idared is expected to soar by 83 per cent year-on-year to 1.15m tonnes, WAPA said, with Red Delicious up 24 per cent to 692,000 tonnes. Other leading varieties forecast to enjoy bumper seasons include Shampion, up 37 per cent to 571,000 tonnes, Jonagored, climbing 63 per cent to 545,000 tonnes, and Jonagold, up 81 per cent to 539,000 tonnes.